Pennsylvania’s medical marijuana regulators must disclose more information about business license applicants under a ruling by the state’s Office of Open Records. 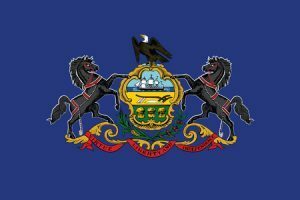 The decision by an appeals officer requires the Pennsylvania health department to make public the names of principals, operators and financial backers for MMJ cultivators and dispensary applicants, the Tribune-Review reported. However, no information would be released until the Commonwealth Court makes a final decision, a cannabis-focused attorney told Marijuana Business Daily. The health department was given 30 days to comply or pursue an appeal through Commonwealth Court, according to the newspaper. “That final decision will not be for months or years if either the Department of Health or one of the third-party applicants implicated in this appeals the decision,” said Judith Cassel, a Harrisburg-based attorney. The issue came to a head in September when a newspaper challenged health department redactions of applicants’ information, including their funding and who was applying for the licenses. Regulators allowed applicants to determine what information was made available to the public. Pennsylvania’s MMJ program is expected to launch later this year and, once it’s established, could become one of the nation’s more robust markets. Not so sure about the statement of robust market based upon the very limited medical regulatory envelop that only includes 6 oil based products … that may be a bit of a reach. Well, this was evident. The law and authority are quite strict when in terms of the marijuana usage. This type of politics won’t go a long way I guess.